Smartphones contain dozens of minerals sourced from every corner of the globe, including gold, which is commonly used in printed circuit boards (PCBs) and other components due to its excellent conductivity. And of course, it's not only found in phones. The electronics industry is the third largest consumer of gold worldwide, after the jewelry industry and financial sector. However, the path that gold travels from the mine to your electronics is often problematic, to put it mildly. To start, gold is one of the four conflict minerals identified by the Dodd-Frank Act, meaning it has been known to finance rebel groups in the Democratic Republic of the Congo (DRC). Even outside of conflict zones, gold mining poses a variety of social and environmental challenges, such as land disputes, sub-standard wages, unsafe working conditions, child labor and mercury pollution. Regardless, many communities worldwide must rely on gold mining as their primary source of income. 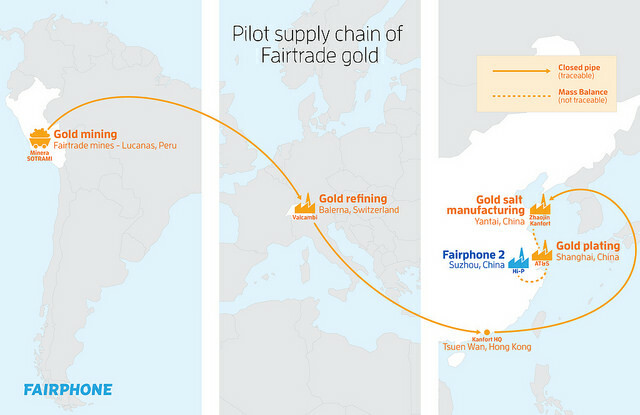 For all of these reasons and more, Fairphone has been working to find a way to integrate more responsibly mined gold into our smartphone supply chain. And in January 2016, we reached a major milestone: Together with our partners, we achieved the first-ever Fairtrade gold supply chain in the consumer electronics industry. Keep reading to learn more about how we set up a pilot project to source Fairtrade gold. As part of our mission to create fairer electronics, Fairphone has been mapping the materials used in our phone and making improvements step by step. With the first Fairphone, we identified (and continue to support) initiatives for sourcing conflict-free tin and tantalum from the DRC, and we're currently in the process of integrating conflict-free tungsten from Rwanda into our supply chain. But sourcing fairer gold posed an even greater challenge. There are no existing supply chain initiatives that we could join to source conflict-free gold from the DRC - and setting up one from scratch was simply beyond our scope. 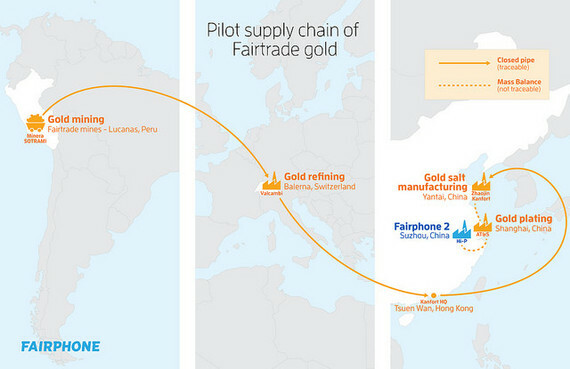 However, there was one responsible mining initiative that we could possibly connect to the Fairphone supply chain: Fairtrade certified gold. While it's not sourced from conflict areas, Fairtrade is especially attractive due to the emphasis on improving working conditions and providing direct developmental impact for artisanal miners. Along the way, we discovered that a smartphone contains about 30mg of gold, 6-9mg of which is found on the printed circuit board (PCB). With a very advanced view on sustainability, AT&S, our PCB manufacturer, was keen to join forces to explore the possibility of connecting Fairtrade certified gold to their supply chain. The gold found on the PCBs is applied using an electroplating process, which means that AT&S dips parts of the PCBs into a liquid solution that contains gold. 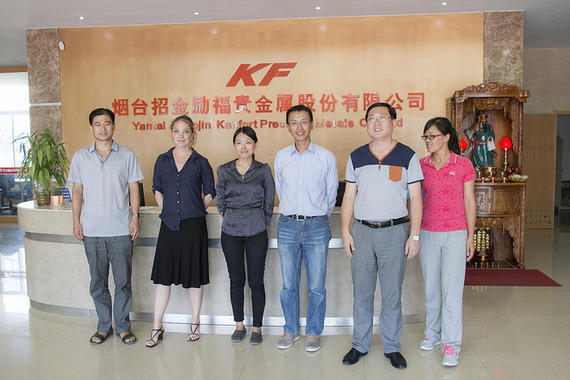 The gold in this solution comes from grains of gold salt - so the next step back in the chain was connecting with the gold salt supplier: Zhaojin Kanfort. After hitting a dead end with our earlier attempts to bring Fairtrade gold into China (because all of the country's gold is traded through the Shanghai Gold Exchange), Zhaojin Kanfort was able to provide us with a solution. In short, they are able to import Fairtrade certified gold through their head office in Hong Kong for use at their gold salt manufacturing facility in Yantai, China. With the support of our partners and assistance from Max Havelaar in the Netherlands, we have now set up a pilot project to source gold from Minera SOTRAMI S.A. in Peru. Minera SOTRAMI has 164 shareholders and employs 260 mineworkers and five engineers. 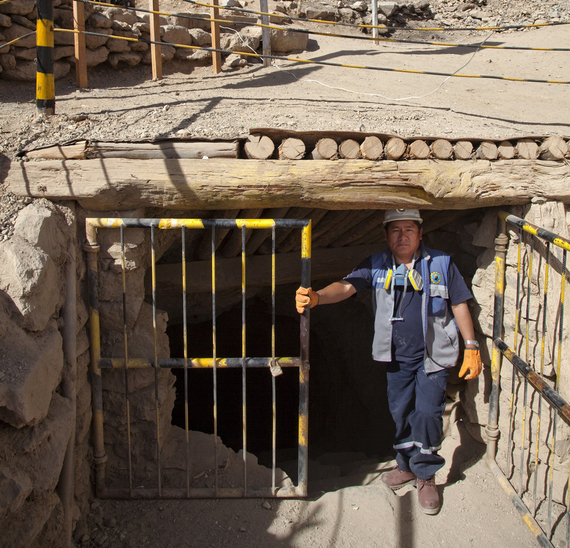 The gold mined here meets the Fairtrade Standard for Gold and Precious Metals, which includes rigorous social, economic and environmental regulations as well as child protection policies. The mine supports 500 families and miners are guaranteed a Fairtrade Minimum Price and Premium that assists in sustainable development for the community. From Peru, the gold travels to Valcambi, a major refinery in Switzerland that is licensed to process Fairtrade certified gold. Once it's refined, we purchase a small amount of gold which is shipped to Zhaojin Kanfort's office in Hong Kong, and then exported to Zhaojin Kanfort's gold salt processing facility in Yantai, China. There the Fairtrade certified gold will be mixed with gold from other sources (referred to as mass-balance) to create the gold salt used by AT&S to electroplate the PCBs. The Fairtrade certified gold arrived safely in Hong Kong on the 25th of January 2016. 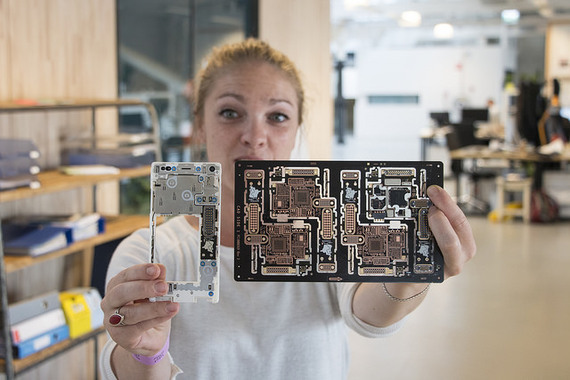 By establishing this pilot program, Fairphone is now the very first Fairtrade-licensed consumer electronics company. Although the gold is not traceable to the specific batch of gold salt for AT&S, it is the first time gold can be physically traced to our gold salt sub-supplier in China. If you buy a Fairphone 2, you can be certain that you're supporting Fairtrade gold miners and their communities in Peru. For us, this entire process has reiterated the importance of building close relationships with our suppliers to better understand our supply chain and influence materials sourcing. By sourcing Fairtrade certified gold, we hope to demonstrate to the rest of the industry that it's possible to map your supply chain and support responsible mining initiatives. While we're proud of our achievement, it's important to point out that this is a pilot project which only requires a tiny amount of gold. Realistically, scaling up the Fairtrade gold supply chain for consumer electronics will require new pricing structures, licensing and logistics as well as demand from manufacturers much larger than ourselves. We certainly can't do it all on our own, but by finding the right partners and making consumers more aware of the issues, we're moving in the right direction.